I still remember the day when I entered the local game store and saw some friends huddled together. Seems they were having a meeting to start a new larp, Alcharion. Since that day a lot of things have changed to their original concept (as far as I knew), but they nevertheless caused a lot of good times for people in the larp community. So it was with some sadness that the last event of Alcharion was held last weekend. I hadn't participated in about 5 years, as I had grown out of how Alcharion was run. Although for years I had a great time at Alcharion, I was ever anxious for their next event. 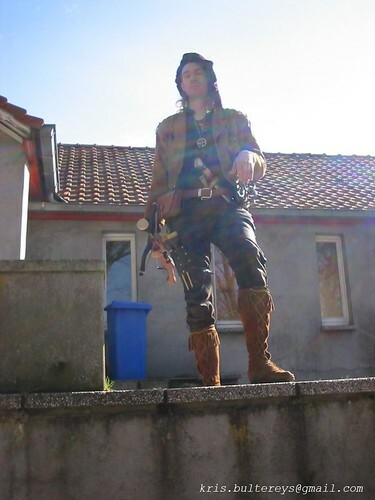 But at one time I went to Dragonbane, which forever changed my look on larping. So when the last event was announced and friends asked me to come over, I knew I had to adapt my expectations. And well, I wasn't disappointed. I still got the look and feel of the Alcharion that I knew from years ago. You see, I've always considered Alcharion the larp where the larp-newbies start out. It had low costume standard, a lot of fights where you always tried to increase the damage you could do, you might find more OOC talk than in other larps, etc. And there's nothing wrong with that. As there are a lot of people who actually like that kind of game. With these things in the back of my mind I attended the event and, as said, I wasn't disappointed. But upon closer looks I did notice some differences. Costumes of all participants were of a higher standard than what I remembered. I saw people who looked their part, from head to toe. On the other hand there were still people (mostly OOC people) wandering around in modern clothes, because they were not yet playing an NPC or such. But I didn't mind this, as it was one of the things I had expected. Now I won't say that this last Alcharion was the best ever, but it was a good one. And frankly, they did a tremendous job bringing the story to a satisfying end. Especially all the characters from old times who made an appearance was really appreciated. At the end we, the heroes, got nice a IC thank you speech, along with cava bubbles, snacks etc. All heroes were rewarded for their part in saving the land and such. So with this I want to thank all those that had a role in making Alcharion the larp it was. For some it was a nice game along the road, while for many others it was the start of new hobby. I hope that there will always be larp with a low entry level, so that new players to the hobby have a nice starting point. 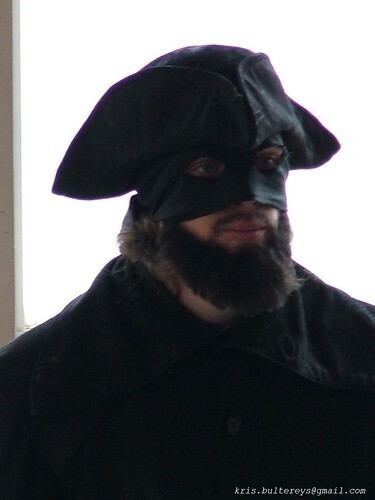 'Cause frankly, we all started larping with costumes that were pieced together of what we had.